I like the slant of the lettering, the perspective one sees when looking down from a height. The erosion of the paint is very interesting as well. 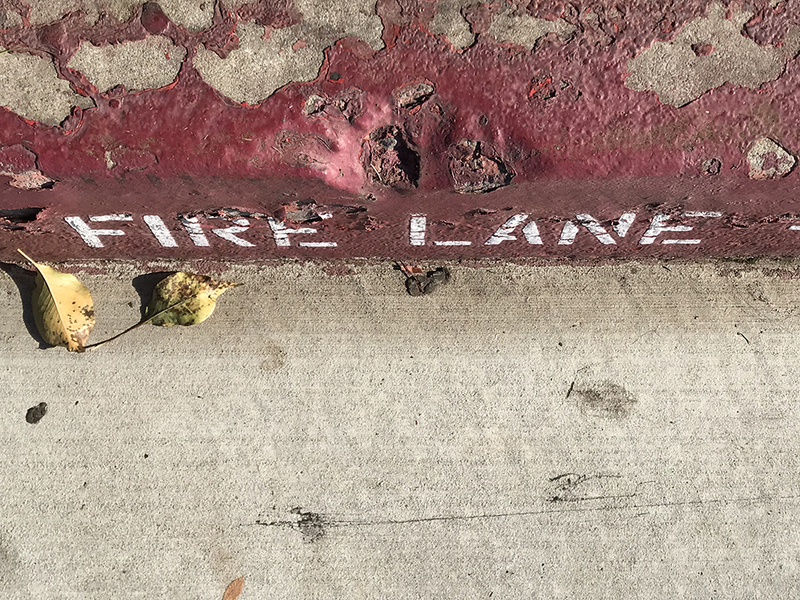 This entry was posted in Personal Stories and tagged artistic process, creativity, fire lane, paint erosion, parking lot, perspective, photography, red curb, visual arts, watercolor. Bookmark the permalink. I think it’s one of my favorites. Love the angle of the words and the color scheme, especially the rosy shades. Yes, I wasn’t expecting the distortion of the letters. Worked well. Thanks, Claudia!